Robert Downey Jr. arrives at the Premiere Of Columbia Pictures' "Spider-Man: Homecoming" at TCL Chinese Theatre on June 28, 2017 in Hollywood, California. How many more films will feature Robert Downey Jr. as Iron Man? The actor made his debut as the Marvel superhero in the surprise monster hit "Iron Man" in 2008 and will reprise his role for the eighth time in the upcoming "Avengers: Infinity War." Fans have speculated that it could be his final film in the Marvel Cinematic Universe. 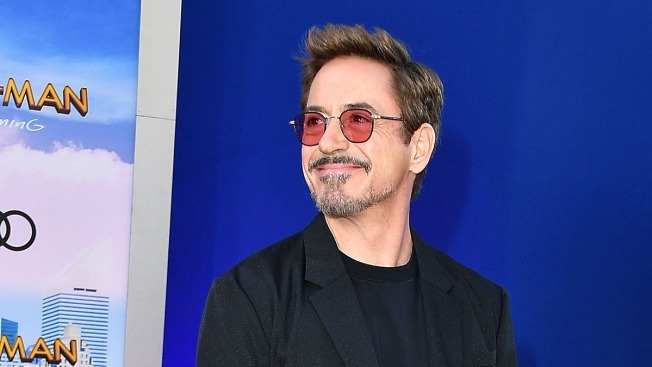 "It's this cyclical thing," Downey Jr. told News Corp Australia Network in an interview posted Sunday. "I could have said when the first Avengers came out: 'It's never going to get any better than that. Everybody stop.' But to me it's always about people and opportunities, like the Russos [Avengers directors Anthony Russo and Joe Russo], who I adore." "Everyone says to me it's like a glove that fits so well. I have to start over every time but I am starting over with a pretty solid base. I just never want to blow it for the last six or seven [MCU movies] I have done by dropping the ball because I decided to go do it one more time," he continued "I just want to hang up my jersey before it's embarrassing." Russo told Forbes in 2016 that it is "almost impossible to replace Robert, he's the biggest movie star in the world." "One close up from Robert is worth another actor's entire performance, he's incredibly gifted and insanely talented," he said. "I think if and when he is done with the character I think you will find that Iron Man might disappear for a while." He also talked about the possibility of rebooting Iron Man with a new star. Tom Holland plays a young version of Spider-Man in the latest Marvel reboot film, "Spider-Man: Homecoming," which also features Downey Jr. as Iron Man. "I think the only way that you could reboot [Iron Man] is to give a generational gap that would allow another actor to at least have a chance to redefine that character without the enormous spectre of Robert hanging over it," Russo said. "There are so many characters in the Marvel universe that can pick up the ball and run without it through the next phase or two before you need to see Iron Man again, frankly."